So with all the endless food shows on tv you’re bound to have come across technical types of cooking which have become mighty popular in fine dining. I’m talking water baths and dry ice and all the stuff that takes food to a really sciencey level. Well, now you can try it at home! 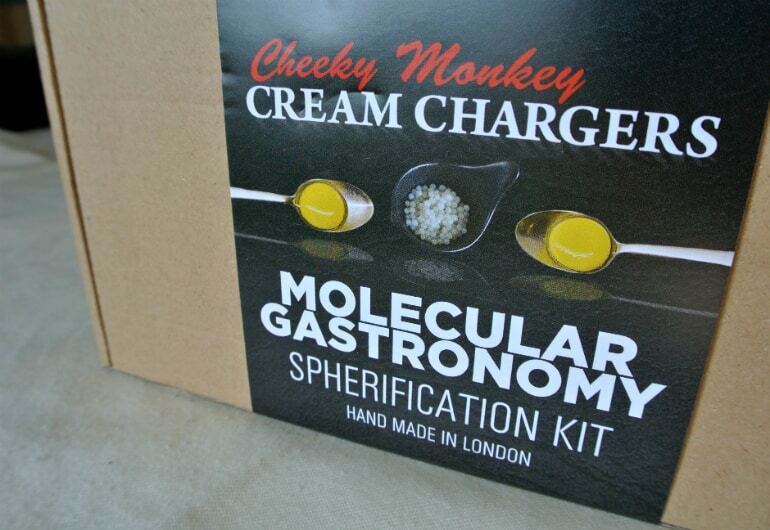 Cheeky Monkey sent me a little preview of their latest product, it’s a molecular gastronomy kit, allowing you to turn all manner of foods into little balls of flavour. The kit is filled with powders and tools that look as far removed from something you’d eat as imaginable. Within the instructions is an example recipe for fruit based spheres. I had a tasty little faux-chocolate-cheesecake dessert in mind and decided some fruity blackberry balls would go a treat on top. 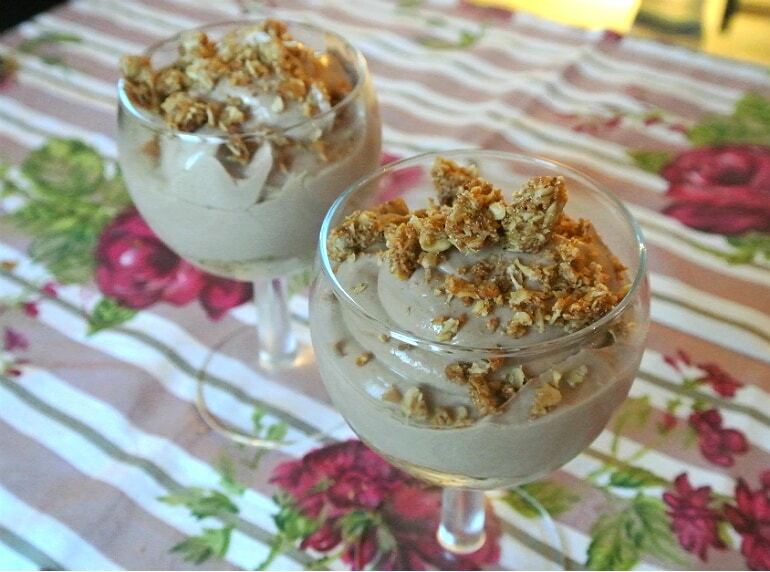 This dessert is designed to be ridiculously quick and easy, with a little less guilt. 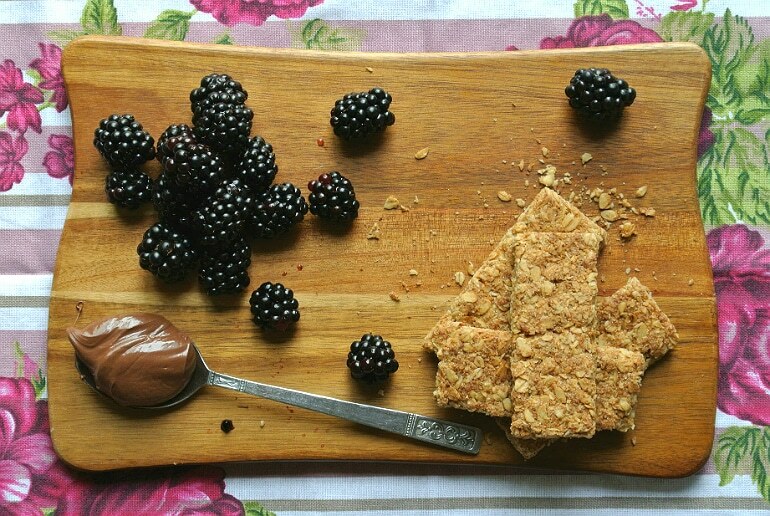 Start by crumbling your granola bars into crumbs and adding in the coconut oil until you have a sandy consistency. 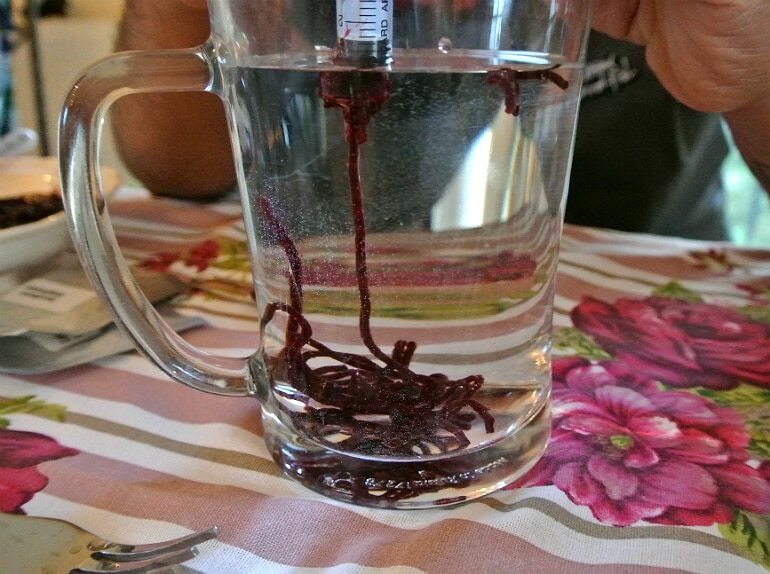 Loosely pack this into a wine glass. 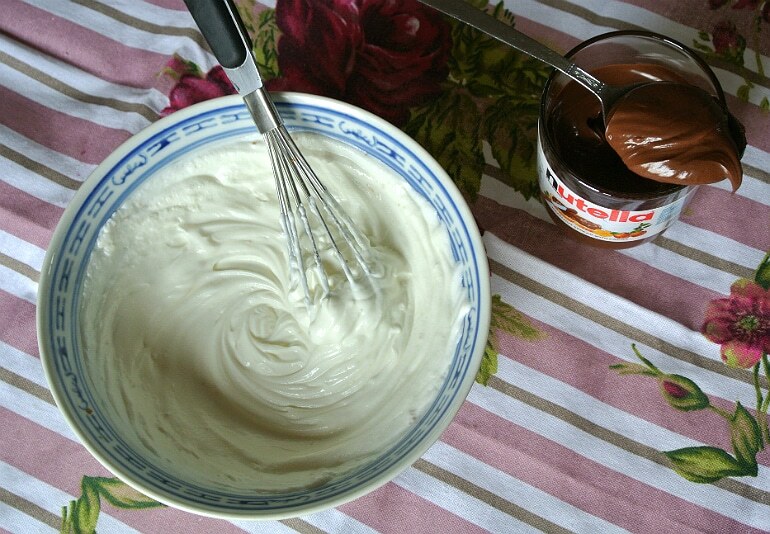 Next whisk the nutella into the Greek yoghurt. 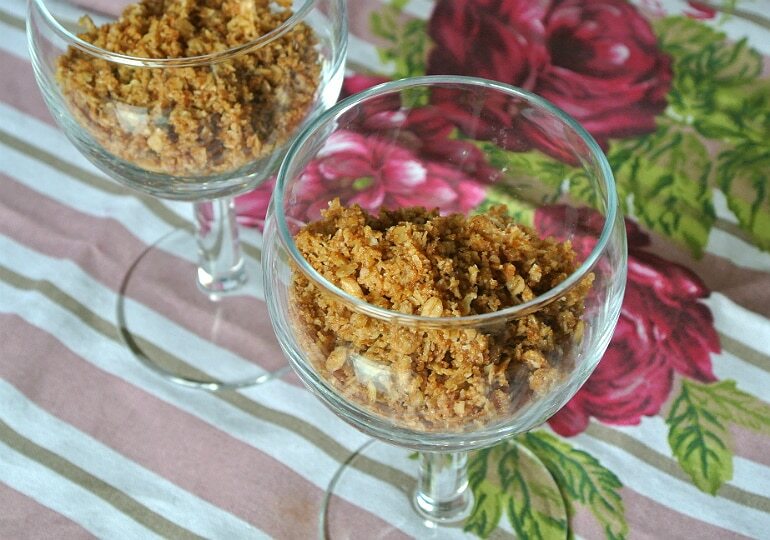 Dollop onto the granola base and pop into the fridge to chill. Voila! 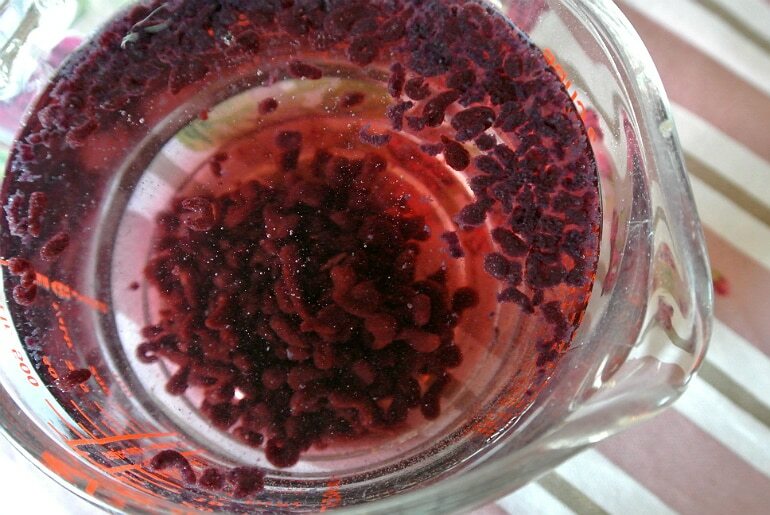 Whilst that was cooling I got down to business with my blackberry molecules. 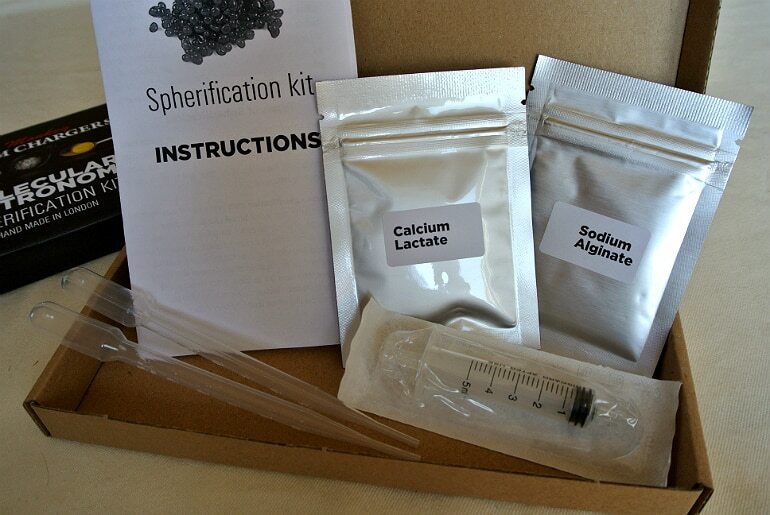 The kit comes with two powders in handy resealable sachets. I’d like to explain the process, but the leaflet (and instructions in general) is a little complicated! Something about coagulating ions and how one powder prevents the mixture of your choice from setting, whilst the other enables it, so when the two meet they create specification. 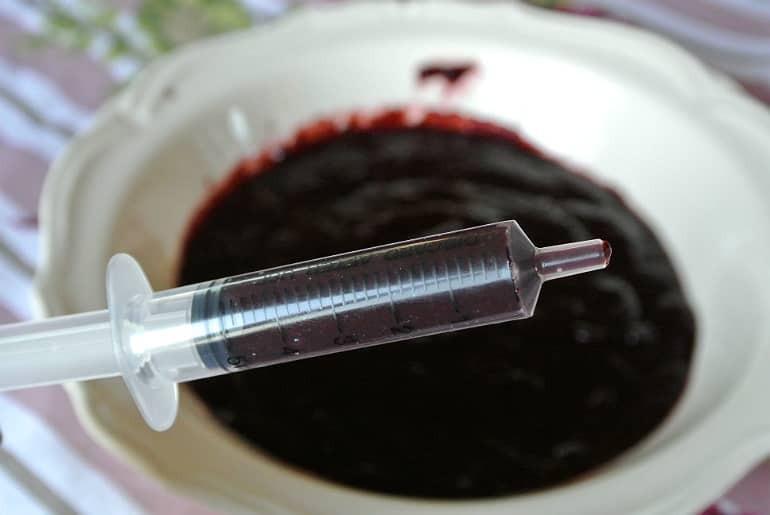 Half a teaspoon of the sodium alginate goes in with the blackberries to blend and one teaspoon of calcium lactate goes into 500g of water. This is the setting bath you drop your mixture into. 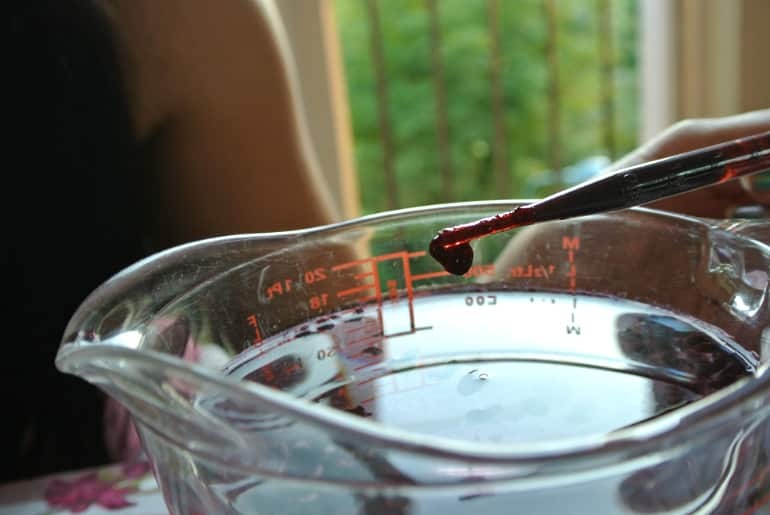 You have to wait at least half an hour for the agents to work their magic, once ready the mixture is syringed and dropped into the setting bath to create the spheres. I found the syringe difficult to use so opted for the pipette instead. I found this much harder than I thought it would be. The mixture didn’t drop out in nice round blobs as I’d hoped. In fact, my spheres looked quite different to the pristine kind you find chefs doing! Even more disappointingly, on removing the balls I found they hadn’t set. …Only to fail as well! Opting in his defeat for some entertaining blackberry snakes. Perhaps this was an operator error. It most likely was, but the fact that both of us failed so spectacularly suggests that the process is just too complicated. To be successful for folk at home the process/instructions definitely need some tweaking. Had this worked I would say it’d be a nice little gift for a food enthusiast, it has the potential to be fun! It retails at £7.99 so not breaking the bank, but to be a worthwhile product it does need to be more user friendly. 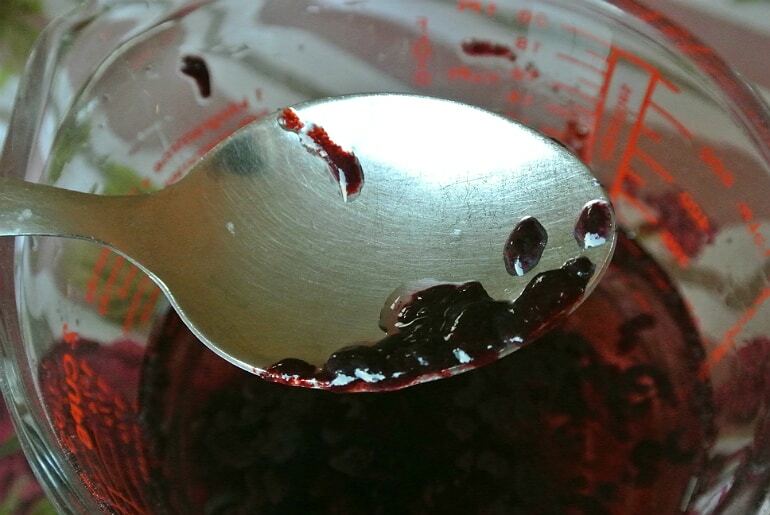 Sadly on this occasion I had wasted a pack of beautiful blackberries and turned them into inedible mush. The age old saying ‘don’t play with your food’ sprung to mind. Dessert however (sans blackberries) was delicious!